It appears that the chinese scientists are following their politicians footsteps by showing the right side of kashmir and the Arunachal Pradesh as their area! it is a shameful act. Nirjhar007, I totally agree. What a deplorable thing to do. Within the 12 Xiaohe graves, there are 11 R1a results, and one K* result. I find this K* result interesting. As a conclusion from this list of tested markers, the remaining subgroups of the Y-SNP marker K-M9(xN, O, P) have not been tested. I am thinking that this K* result could belong to the Y-SNP haplogroups L or T? Do you guys agree with this? Also, since the combination of subgroups of haplogroups R and T have been found in several unexpected cases in other studies, i think this K* could belong to haplogroup T. Ofcourse in order to prove this, the K* needs to be subtyped. Yes, the K* could well be T1a2, which has been found in Europe and Xinjiang. I am going to try to contact professor Hui Zhou from the Jilin University(author of the study paper), and ask if they could subtype this K* result in order to find out if it belongs to T. Do any of you guys know scientists of the Jilin University? Which correct/official e-mail or fax address belongs to the "Research Center for Chinese Frontier Archaeology of Jilin University"? I cannot reach the website of Jilin University. 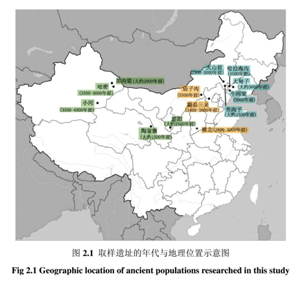 Isn't it curious that most sites are dominated by non-O3 lineages such as N and Q and that only a few (Lower Xiajiadian culture, the Qinghai site) are dominated by the most common Chinese lineage today (I mean O3, of course)? There seems to be quite a demographic transition with the change from Honshang to Lower Xiajiadian, which cover more or less the same area of NE China. What do you make of their estimates for R1a and R1b? 24 Ka?! Not for me, thanks. 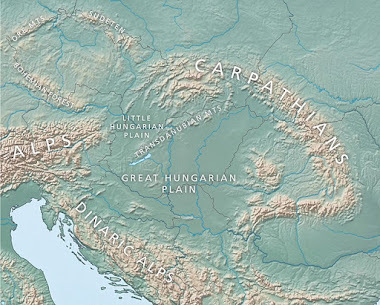 IMO R1 has been in West Eurasia since at the very least the Gravettian era and may be as old as the Aurignacian. As I said elsewhere, Q must have diverged from P long before the proto-Amerindian migration began, i.e. most likely Q1 arrived to Altai c. 47 Ka ago already formed. R seems older, so it has a good likelihood of being an Aurignacoid thing, directly related with the first colonization (barring the Arabian OoA journey) of West Eurasia (Neanderlands) by H. sapiens with origins in India (and possibly to some extent also SE Asia). I'd say that both Q and R1 (with some R* possibly) expanded to West Eurasia at that early age. I largely used the info provided in this entry, so thanks again for spreading. Feel free to use my maps. As someone said in the Chinese website. The Jilin university DNA test results are not real, They tried to hide O2b and they didn't find N for political reasons.